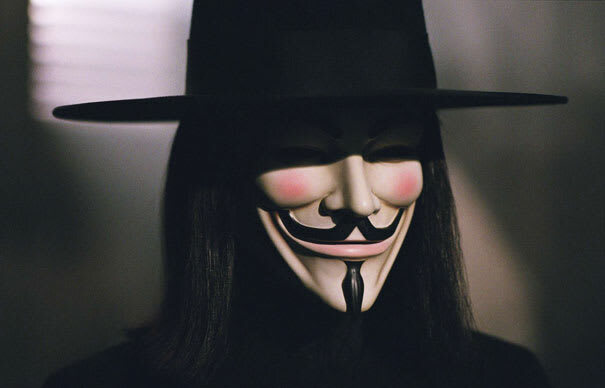 Character: V (Hugo Weaving), a masked freedom fighter taking down the conservative totalitarian government in a futuristic Britain. How he's wronged: To gain public approval for its rights-violating imprisonment and disappearing of political dissidents, homosexuals, and other "enemies of the state," Britain's fascist government concocts a biological weapon for a self-inflicted bioterrorist attack by experimenting on V and other prisoners, killing many of them. How he gets revenge: After destroying and escaping from his detention center, revolutionary V dons a Guy Fawkes mask and cripples the regime by bombing government buildings, assassinating officials, and exposing propaganda programming as lies, ultimately turning the masses, who turn out to watch him explode Parliament, against the weakened state.